Research the available academic degrees, majors and fields of study available at ALC. 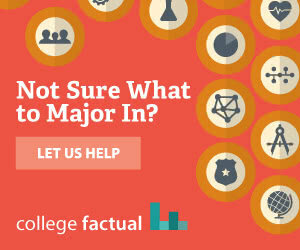 Let College Factual help you discover whether ALC offers the right fit, value, and cost to meet your educational goals. Alice Lloyd College offers 18 distinct undergraduate degrees, concentrated into 12 majors within 9 broad fields of study. Across all areas of study, Alice Lloyd College awarded 131 undergraduate degrees in 2016 - 2017. None of the awards was for a degree taken exclusively online. None of the awards was for a degree given to foreign nationals. A significant percentage of degrees (42.0%) were awarded to men. The following chart and table show how the 131 undergraduate awards given to U.S. citizens were distributed at Alice Lloyd College. Below are all fields of study offered at Alice Lloyd College. Click a field of study below for more information, the related majors and the focus areas within the field. Think again. The odds are that you might, as over 50% of college students do change their major at least once, often resulting in unexpected costs. Try Majors Matcher to get started choosing the best major for you the first time. Many students are undecided about their major or may end up changing their minds. Does this school have a variety of programs that are of interest to you? Does this college require students to complete core classes? Would you be allowed to test out of a subject you don't wish to repeat in college? What's the minimum grade you need to achieve in a subject to declare it as your major?